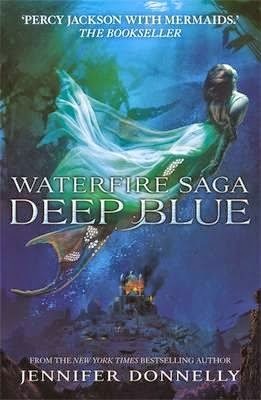 Genre: Percy Jackson with mermaids! "Deep Blue" by Jennifer Donnelly is the first in an ongoing series about a mermaid whose kingdom falls into enemy hands, and she must rise above her circumstances to take back what was lost, with a little help from comrades she meets along the way. Serafina (Sera) starts the book off a somewhat spoiled princess struggling to prepare for her coming of age ceremony and come to terms with her abilities (song spells) in order to take hold of the kingdom reins. She strives to meet her strict mother's expectations as well as that which her role as a Principessa (Princess) calls for. But things take a turn for the worst as Sera's kingdom is invaded, and she is on the run for her life along with her friends Neela and Ling. 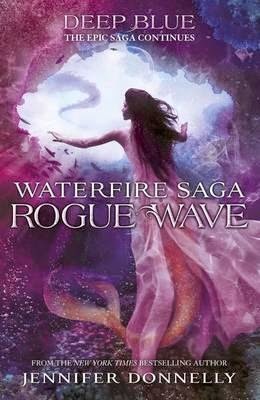 In all, there are a group of six destined mermaids fighting against a ruthless enemy, using their abilities and rising to the respective call.